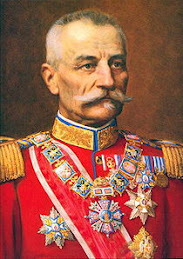 Radomir Putnik, also known as Vojvoda Putnik, (Serbian: Радомир Путник, Војвода Путник; 24 January 1847 – 17 May 1917) was a Serbian Field Marshal (vojvoda) and Chief of General Staff in the Balkan Wars and World War I, and took part in all wars that Serbia waged from 1876 to 1917. In the mid-19th century, Putnik's family returned from exile in Austria-Hungary to liberated Serbia. 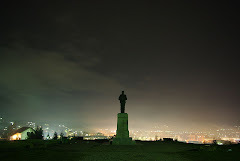 Putnik's father, Dimitrije, was a teacher in Kragujevac, and Radomir completed his basic schooling there. He attended the Artillery School (the precursor to the later Military Academy) in Belgrade, where he graduated in 1863, placing eighth in his class. 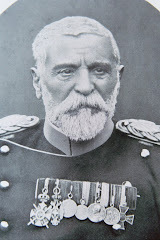 In 1879, he married Ljubica Bojović, daughter of a colonel, with whom he had seven children (three daughters and four sons). Contemporaries describe him as an ascetic, introverted man, and a heavy smoker; however, he was also thought tough on professional issues. 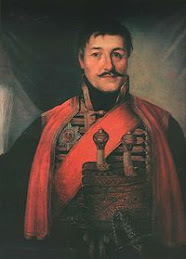 He proved himself in the battlefield during the wars against the Turks in 1876 and 1877. On several occasions, he was severely reprimanded and even briefly put in custody for using "inappropriate language" to senior officers. He became a professor in the Military Academy, holding that position from 1886 to 1895. 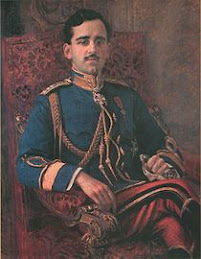 In 1889 he was appointed Deputy Chief of General Staff. 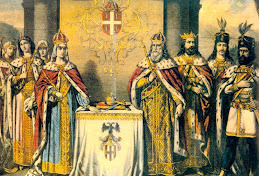 However, he soon came into conflict with King Milan I, partly for not allowing a King's protégé to pass an examination. 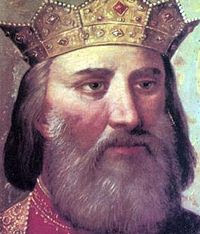 Political intrigue and latent conflict with Kings Milan and his successor, King Alexander I, would follow him throughout this part of his career. In 1895, he was forced to retire and, after an unsuccessful assassination attempt at King Milan in 1899, he left the country for fear of further retaliation. After the military coup d'etat (executed by what would later become unofficially called Black Hand organisation) against Alexander I in 1903, Putnik was rehabilitated, promoted to the rank of General and appointed Chief of General Staff. He proceeded to completely reorganise the army, to retire old and promote new officers, and to update war plans. 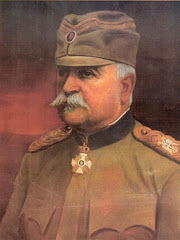 He appointed General Živojin Mišić as his deputy. Despite occasional personality clashes, the two men had deep respect for each other. Putnik was the first officer to be appointed to the highest rank of vojvoda (Field Marshal). 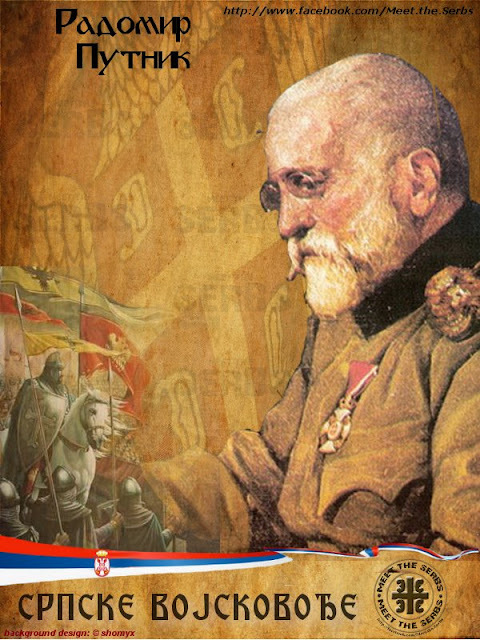 In 1912, he led the Serbian Army into victories in the First and Second Balkan War. 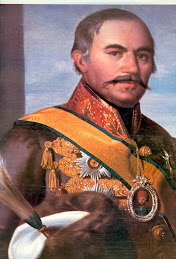 During that period, he was also Serbian Minister of War on several occasions. Caught in Budapest when Austria-Hungary declared war upon his country, Putnik was allowed safe passage back to Serbia in a chivalrous and possibly self-defeating gesture by the Austro-Hungarian emperor Franz Josef. After a troublesome trip, Putnik returned to Serbia and offered his resignation to King Peter I of Serbia on the grounds of ill health. It was rejected, the King insisting that Putnik take command over the army, if only in strategic sense, while younger generals would take over operational duties. Putnik had to spend most of his time in a well-heated room. However, his impaired health did not prevent him from successfully organising the campaign. 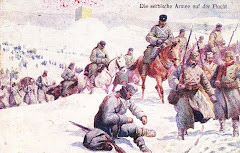 Serbia defeated the Austrian Army's offensives in August and September 1914, driving it out of Serbia by December. 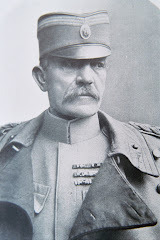 The Serbian front remained relatively quiet until Autumn 1915, when Austro-Hungarian, German and Bulgarian forces, led by Field Marshal August von Mackensen, began a large offensive against Serbia with more than 300,000 soldiers. 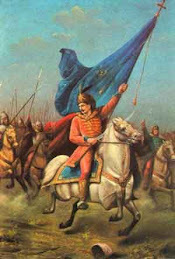 With the Bulgarians attacking from the rear, the Serbs found themselves in a hopeless position. On 25 November, Putnik made his last and most painful order — full retreat, southwards and westwards through Montenegro and into Albania, trying to reach allied ships that would, he hoped, transport the core of the army to the safety of the Ionian islands. 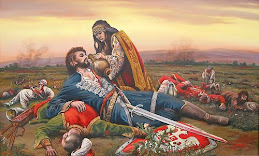 The retreat was one of the most tragic events in Serbian history during which the Serbian army lost more than 100,000 soldiers to desertion, starvation, illness, and attacks from enemy forces. Some 125,000 Serbian soldiers reached the Adriatic coast and embarked on French transport ships that carried them to the Greek islands, chiefly Corfu. In worsening health, Putnik had to be carried during the retreat, exhausted by the effort and episodes of bronchitis, influenza and pneumonia. 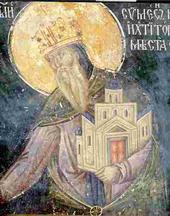 He was taken over by allied forces in Skadar and transported to Brindisi, and then to Corfu along with the core of the army. In the atmosphere of recrimination that followed between the government and the High Command, the entire General Staff was dismissed in January 1916, including Putnik. He felt embittered, having learned of his dismissal from a cashier who gave him his salary without a Chief of General Staff's supplement. He traveled to Nice, where French authorities welcomed him with honors and gave him a villa. He was overcome by lung emphysema and died on 17 May 1917, without seeing his homeland again. 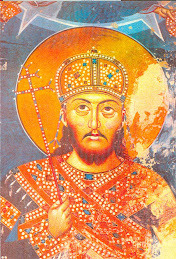 His remains were transferred to Serbia in 1926 and buried with honors in a chapel at Belgrade's New Cemetery. The grave carries the epitaph "Grateful Homeland to Radomir Putnik". Mount Putnik in Canada is named after him.